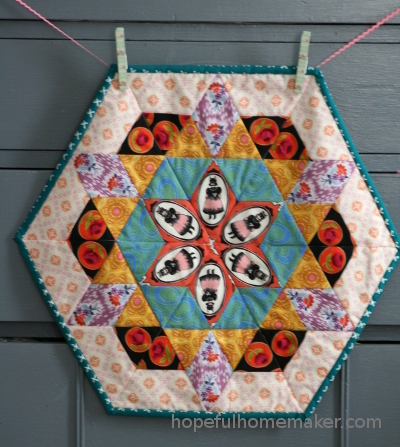 The first is this mini hexagon quilt, made by Kristin. 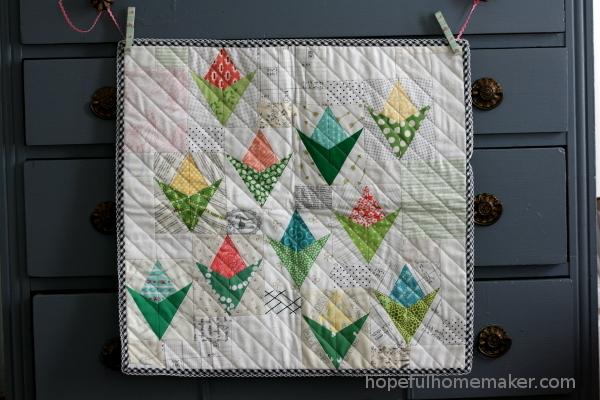 It’s a reminder of the Kathy Doughty workshop we attended, and I love the colors and especially the fussy cutting. 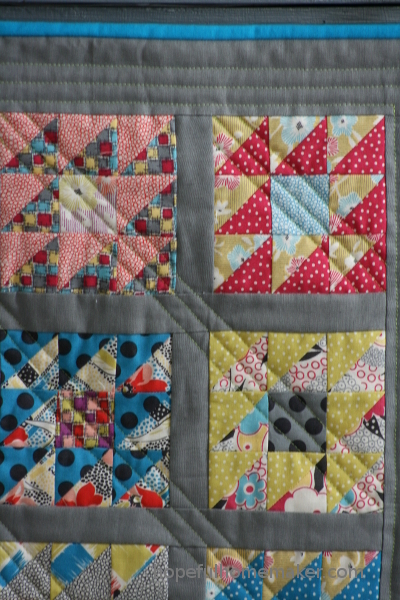 Jennifer made these awesome little half square triangle blocks and finished them off with really great straight line quilting. I also love the bright blue binding. 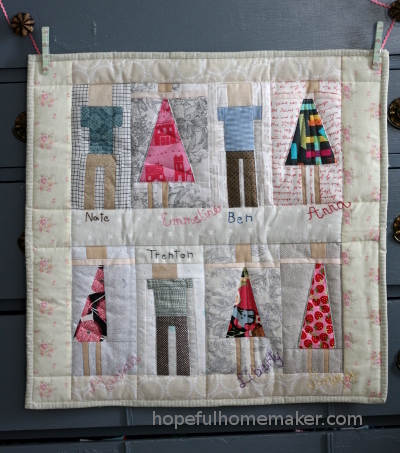 Pamela also took some inspiration from the same Kathy Doughty workshop and made some fun paper doll style blocks. 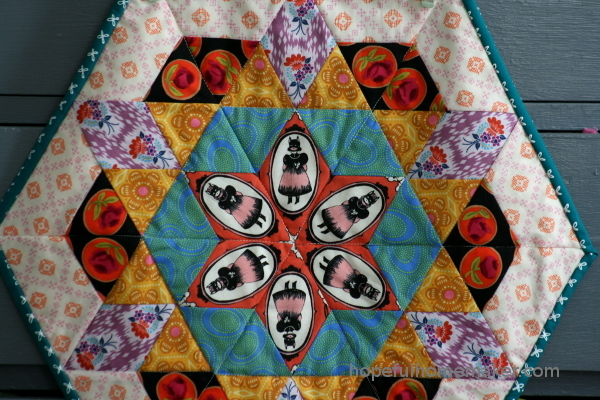 She actually made them to represent each of my eight children, and I love it. 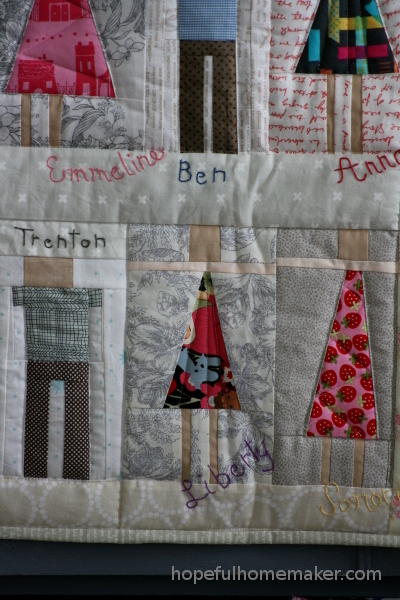 She took the time to embroider each of their names on their block. It is such a gift of thoughtfulness! My kids love looking at this one. 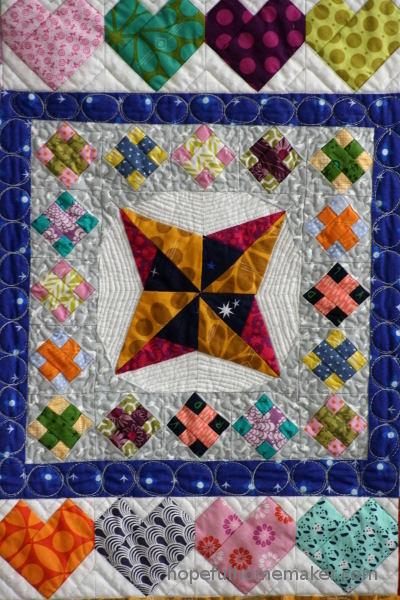 Jill did some amazing piecing to make this mini medallion. I love all the colors in it and am amazed that she made me something so awesome. 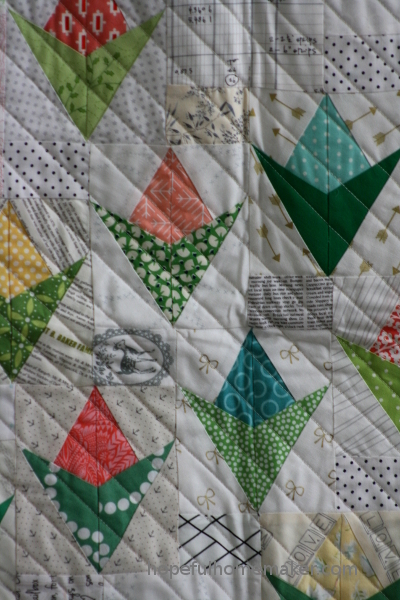 Look at her quilting! It’s such a beautiful keepsake! Anna made these lovely flowers. 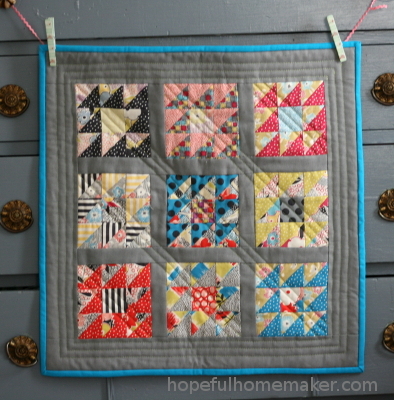 I have loved this Sarah Fielke pattern and was so surprised to open this mini version! 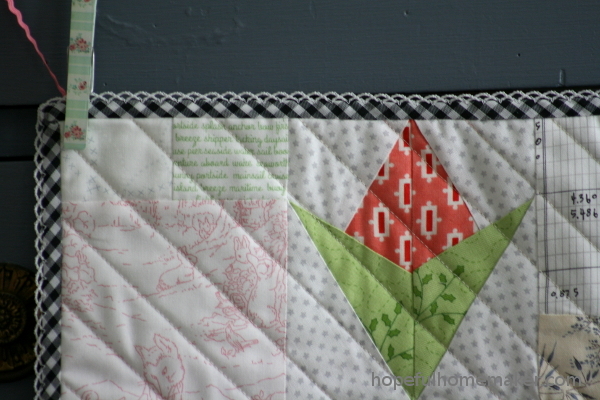 Look at that darling gingham binding with a crochet edge! I love the scrappy design, too. 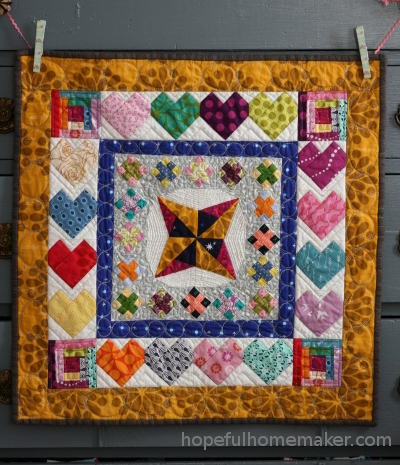 I have a wall in my laundry room where I hang all my mini quilts. Sometimes I just stand there looking at all of them and smile. It’s so fun to have these thoughtful gifts from my friends keeping me company while I work. This swap was a great way to celebrate birthdays. I feel like the luckiest girl ever to have such awesome friends!